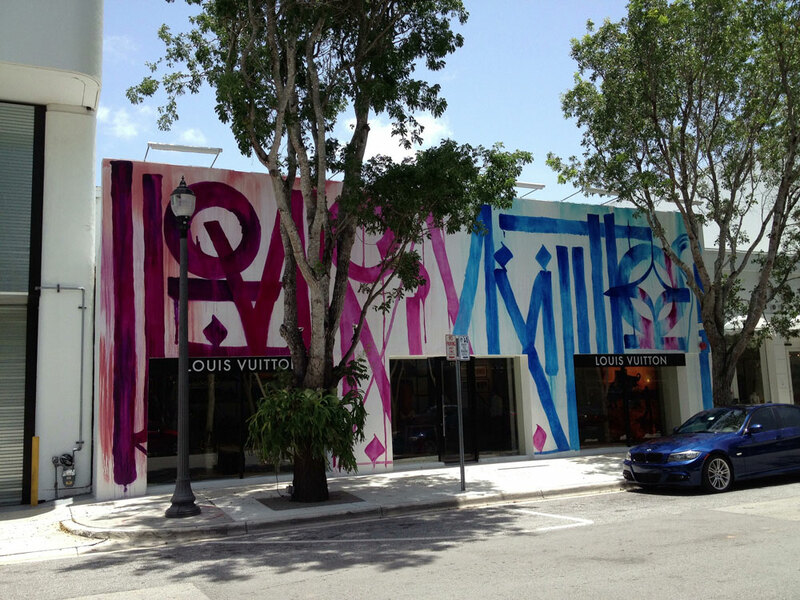 Miami’s “it” neighborhood, the Design District, is the center for all things art and culture in the city. Brimming with public art installations and up-and-coming designers, this recently revitalized area oozes cool with its trendy bistros and one-of-a-kind galleries that are mingled alongside high-end boutiques. A short drive from WPH, it’s the perfect day trip across the water - and ideal for exploring on foot. 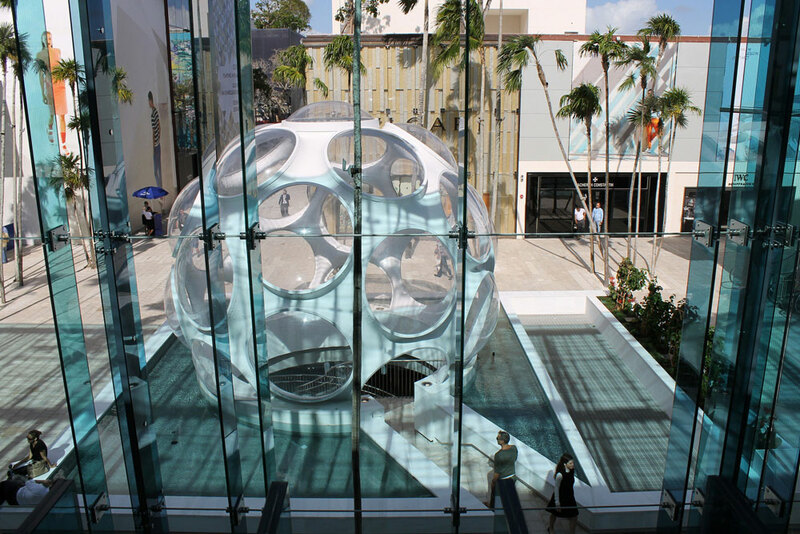 Here are our recommendations for what to see and do in the Design District during your stay in Miami. 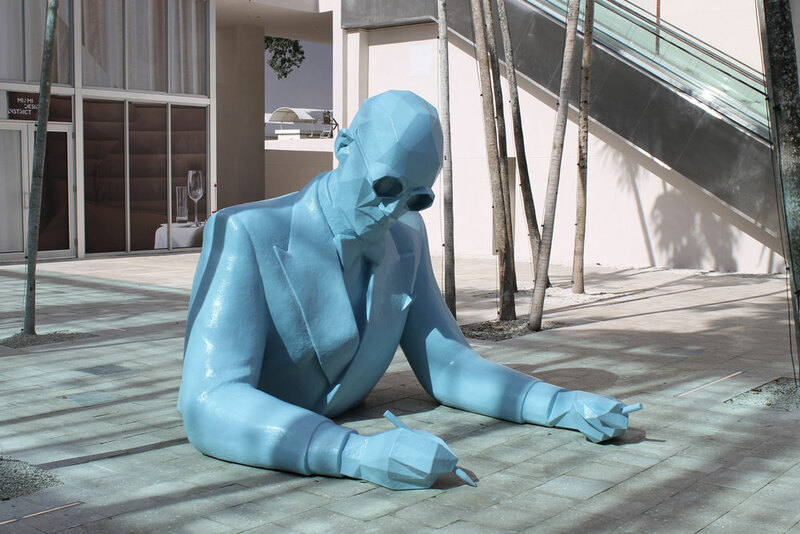 One of the most enticing things about the Miami Design District isn’t its designer shops or highly-acclaimed restaurants - it’s the area’s plethora of public art. Here, artists have let their imaginations run wild - and the Design District has given them the public space to do so. Make your first stop at Palm Court. Here you can find the interactive Fly’s Eye Dome by Buckminster Fuller, as well as Xavier Veilhan’s homage to the great modernist architect Charles-Édouard Jeanneret, Le Corbusier. Head upstairs to the second-floor terrace to see Netscape by Konstantin Grcic, which might be the most comfortable piece of public art installed ever. This set of hammock-like swings makes for a perfect break in between gallery stops. For the museum experience, stop by both the Institute of Contemporary Art and the De La Cruz Collection for an especially impressive display. Bistros are the name of the game in the Design District, a detail that complements the area’s numerous galleries quite well. So when in the Design District, a visit to one of James Beard Foundation Award winner Michael Schwartz’s restaurants is in order. Although we like Michael’s Genuine Food and Drink and its seasonal and locally-sourced ingredients, Harry’s Pizzeria is no slouch either. Mandolin Aegean Bistro serves some divine Mediterranean cuisine, while OTL is perfect for hanging out. Another big pull of the Design District is its prime shopping. All the big names are here, like Louis Vuitton, Tom Ford, Hermés. However, there are also some lesser-known gems in The Bazaar Project, where you’ll find some of the most unique pieces in Miami, if not the world; visit En Avance, which focuses on up-and-coming international designers, and Earthy Chic Boutique, which is much more chic than earthy, aka chic, with a tad of bohemian. Washington Park Hotel is located just 15 minutes from the Miami Design District. Head south on Washington Avenue toward 5th Avenue and the MacArthur Causeway. Take the causeway across the water until you reach I-95. Continue on I-95N and take exit 4B. Make a left at N. Miami Avenue, and a right on NE 38th St., where you’ll find the City View Parking Garage, just steps from Palm Court. Joining us in SoBe? Check our list of specials.